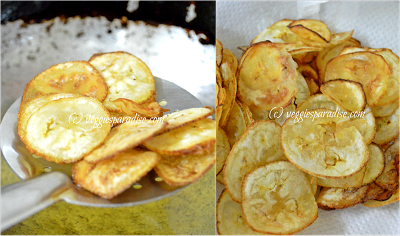 RAW BANANA | VAZHAKKAI CHIPS - Is there anyone who doesn't like chips ? I guess not. 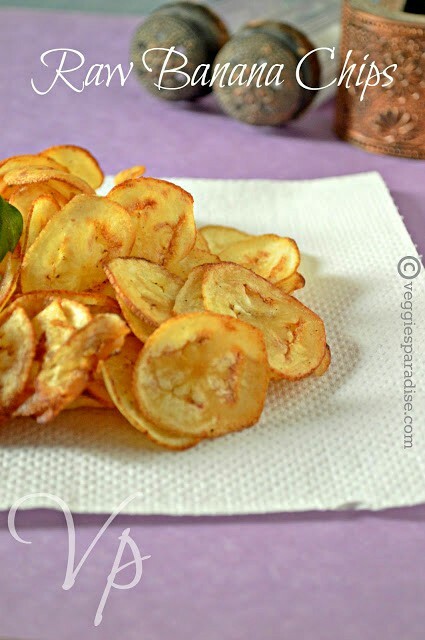 and this is a simple , easy to make ,healthy snack prepared with Raw Banana . I used to munch these crispies only during my trip to India. My MIL used to prepare it fresh, but after coming to Riyadh I used to buy Raw Banana , but its just half the size of the veggie that we buy in India . So I usually prepare this simple raw banana fry , one of my daughter's favourite. Sometimes vazhakkai podimas that goes very well with kara kuzhambu and spicy raw banana fry. Then wondering how this chips came all of a sudden and yes few weeks back we happened to see the raw banana' s just like the way we see in India fresh and long 🙂 . To my surprise my H picked half a dozen of it and few of them were made into chips. I totally enjoyed preparing and munching some while preparing. Now lets see how to make these crispies. When the oil becomes hot. 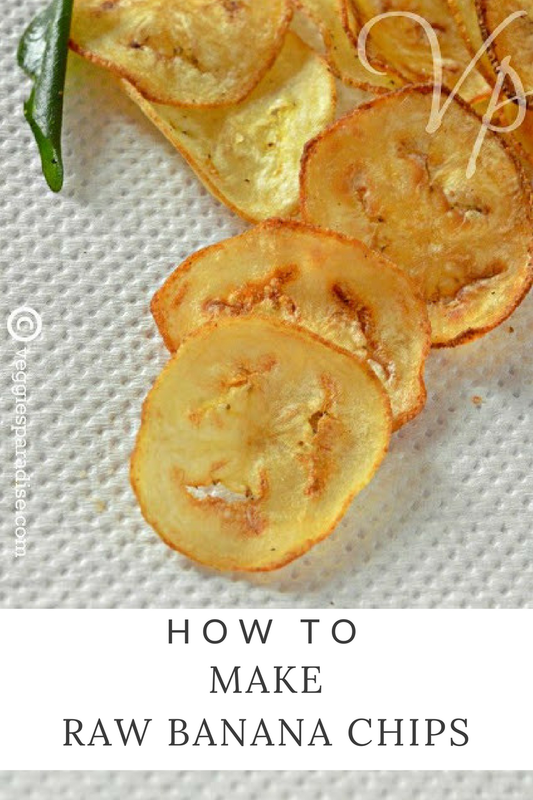 Take the slicer and start grating the plantain directly over the oil. 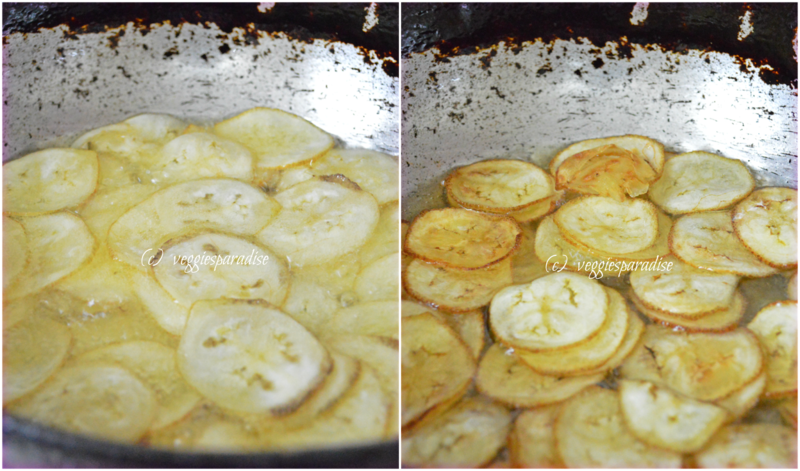 Grate until the plantain covers the surface of the oil and do not overcrowd. Cook them in medium flame for 2 minutes, then flip them and cook on the other side until they turn golden brown.Remove from oil and drain on a kitchen tissue. Follow the same for rest of the plantains. Finally fry the curry leaves and keep it aside. Sprinkle chilli (or) pepper along with salt , mix well until it gets coated. Store them in an air tight container along with the curry leaves. My hubby's favourite.. I usually buy them. I must try making them at home. 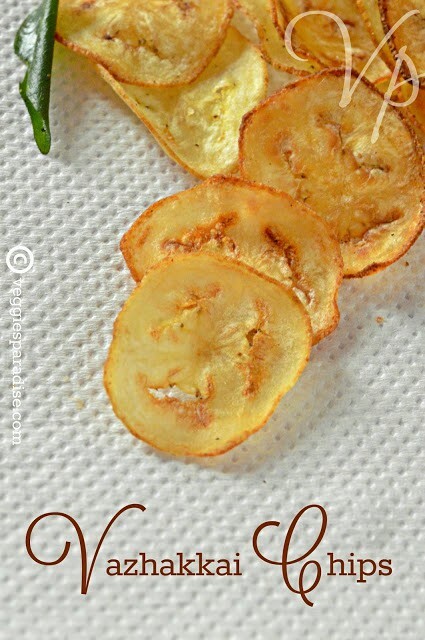 They look really crispy and delicious!